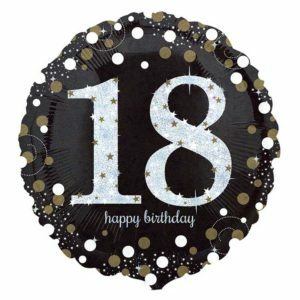 Gold Sparkling Celebration 18th Birthday Standard Foil Balloon. Suitable for helium inflation only, please see our range of disposable canisters. Balloon supplied flat. 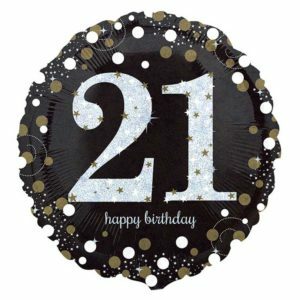 Gold Sparkling Celebration 21st Birthday Standard Foil Balloon. Suitable for helium inflation only, please see our range of disposable canisters. Balloon supplied flat. 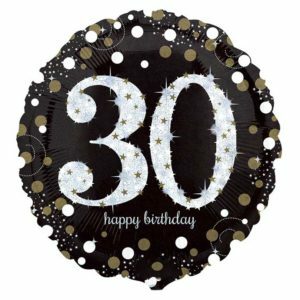 Gold Sparkling Celebration 30th Birthday Standard Foil Balloon. Suitable for helium inflation only, please see our range of disposable canisters. Balloon supplied flat. 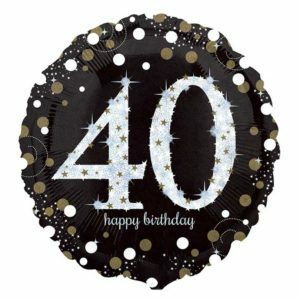 Gold Sparkling Celebration 40th Birthday Standard Foil Balloon. Suitable for helium inflation only, please see our range of disposable canisters. Balloon supplied flat. 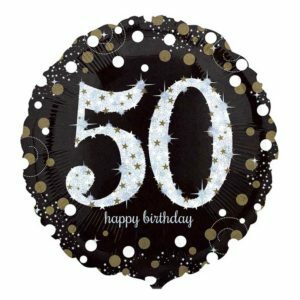 Gold Sparkling Celebration 50th Birthday Standard Foil Balloon. Suitable for helium inflation only, please see our range of disposable canisters. Balloon supplied flat. 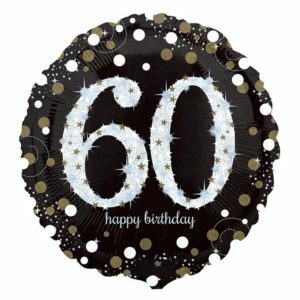 Gold Sparkling Celebration 60th Birthday Standard Foil Balloon. Suitable for helium inflation only, please see our range of disposable canisters. Balloon supplied flat. 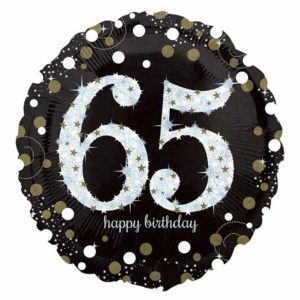 Gold Sparkling Celebration 65th Birthday Standard Foil Balloon. Suitable for helium inflation only, please see our range of disposable canisters. Balloon supplied flat. 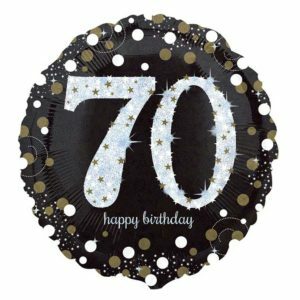 Gold Sparkling Celebration 70th Birthday Standard Foil Balloon. Suitable for helium inflation only, please see our range of disposable canisters. Balloon supplied flat. 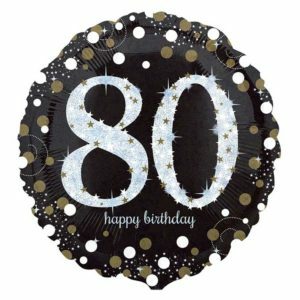 Gold Sparkling Celebration 80th Birthday Standard Foil Balloon. Suitable for helium inflation only, please see our range of disposable canisters. Balloon supplied flat. 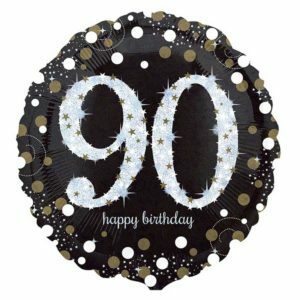 Gold Sparkling Celebration 90th Birthday Standard Foil Balloon. Suitable for helium inflation only, please see our range of disposable canisters. Balloon supplied flat. 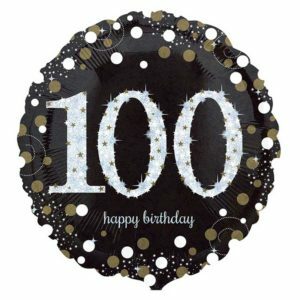 Gold Sparkling Celebration 100th Birthday Standard Foil Balloon. Suitable for helium inflation only, please see our range of disposable canisters. Balloon supplied flat. 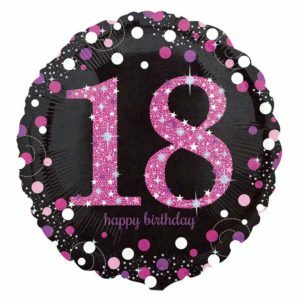 Pink Sparkling Celebration Prismatic Standard Foil Balloon. Suitable for helium inflation only, please see our range of disposable canisters. Balloon supplied flat.